Thanks to Sierra having a work-related conference to attend, I got the chance to tag along on a mid-July trip to Oregon. My mission while she was busy with her conference was to visit some gardens in Portland. What follows is a mini photo diary of my visits to Hoyt Arboretum and Leach Botanical Garden. Both are places I had never been to before. My visits may have been brief, but they were long enough to earn big thumbs up and a strong recommendation to pay them a visit. Much of the Hoyt Arboretum is like walking through a dense forest. Here a Scots pine (Pinus sylvestris) marks a fork in the road. To the right is the White Pine Trail, and to the left is the Bristlecone Pine Trail. Some of the trees are enormous. 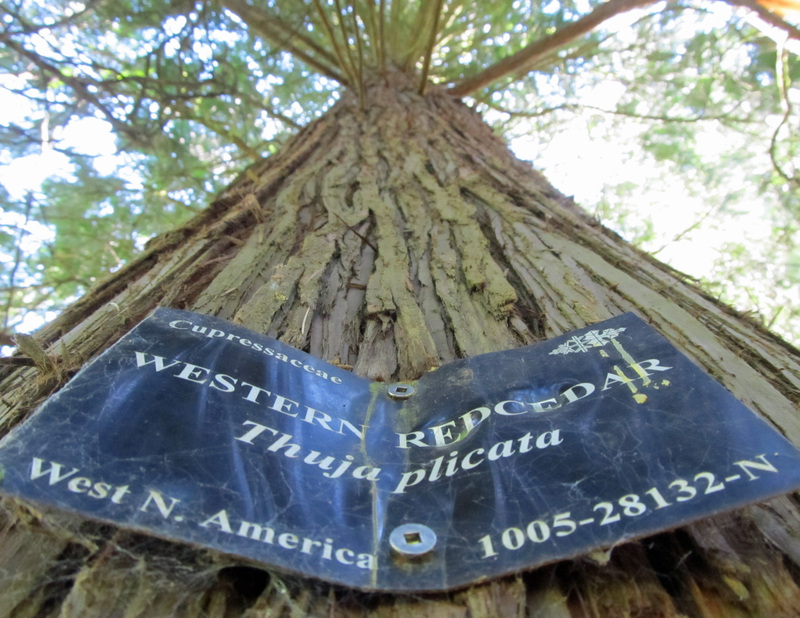 This western redcedar (Thuja plicata) is getting up there. Looking up to admire the canopy was one of my favorite parts. 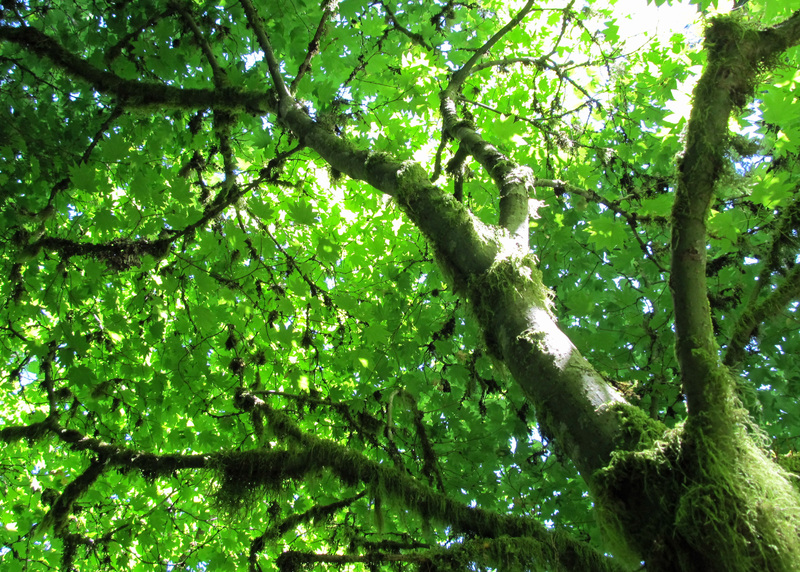 Here I am below the canopy of a vine maple (Acer circinatum). 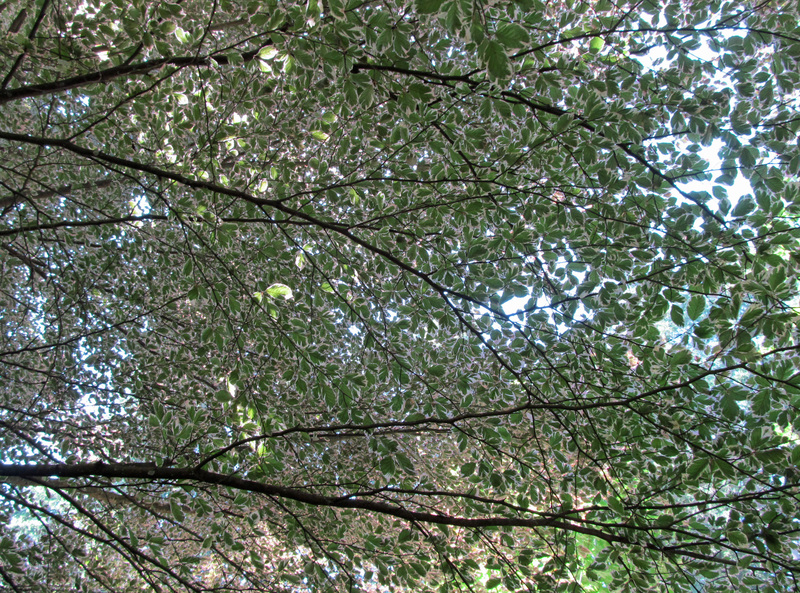 And now I am below the canopy of a tricolor beech (Fagus sylvatica ‘Tricolor’). 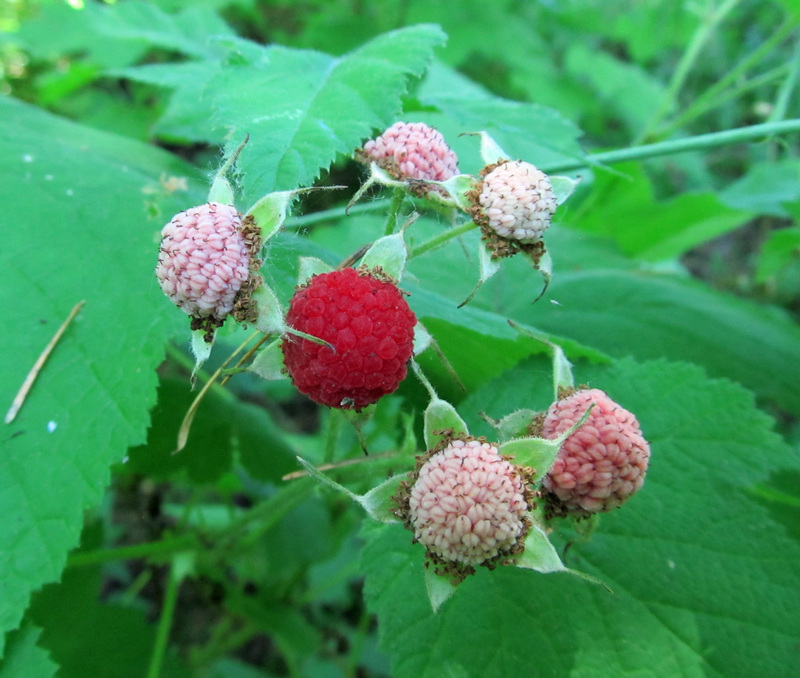 Thimbleberry (Rubus parviflorus) was abundant, and the fruits were at various stages of maturity. There were a few flowers to look at as well. 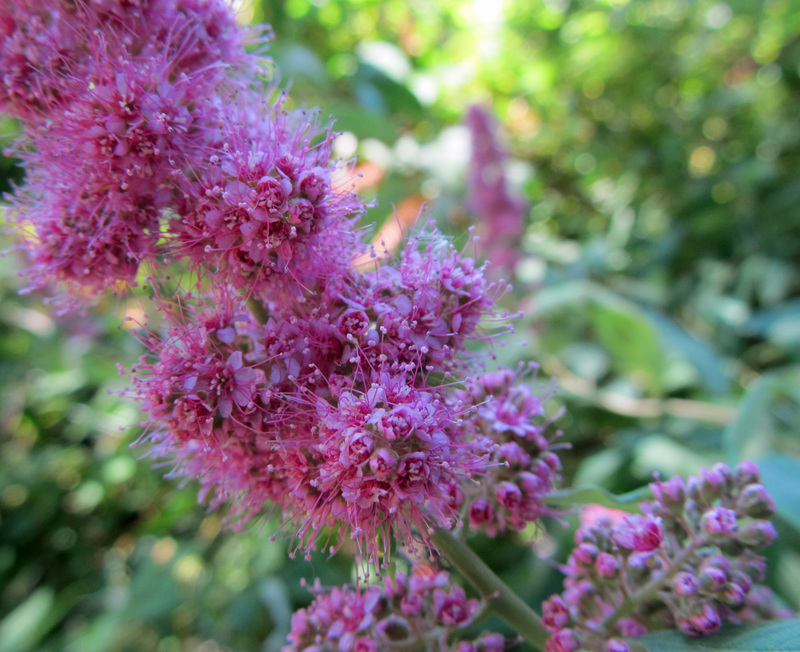 Bumblebees were all over this Douglas spirea (Spiraea douglasii). 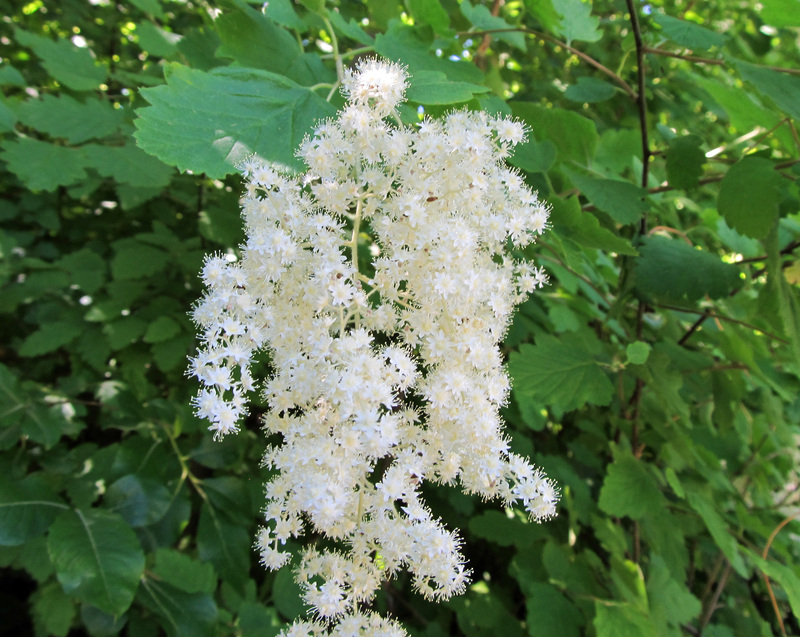 Ocean spray (Holodiscus discolor) was in its prime. 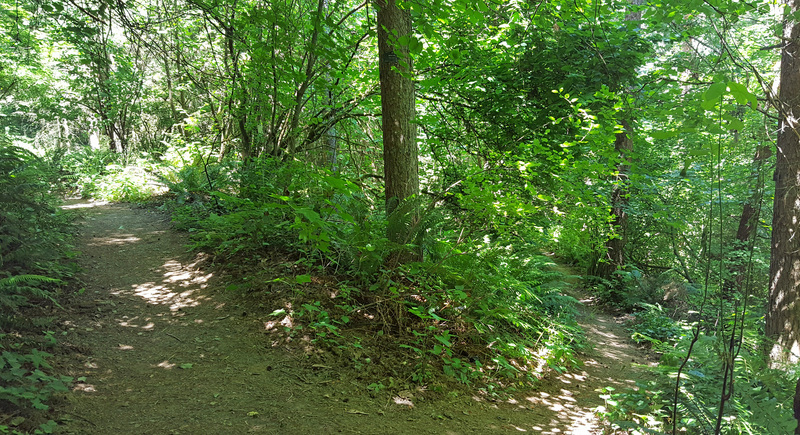 Leach Botanical Garden is considerably smaller than Hoyt Arboretum but is similarly wooded. There is a creek that runs through a small ravine with pathways winding up both sides and gardens to explore throughout. 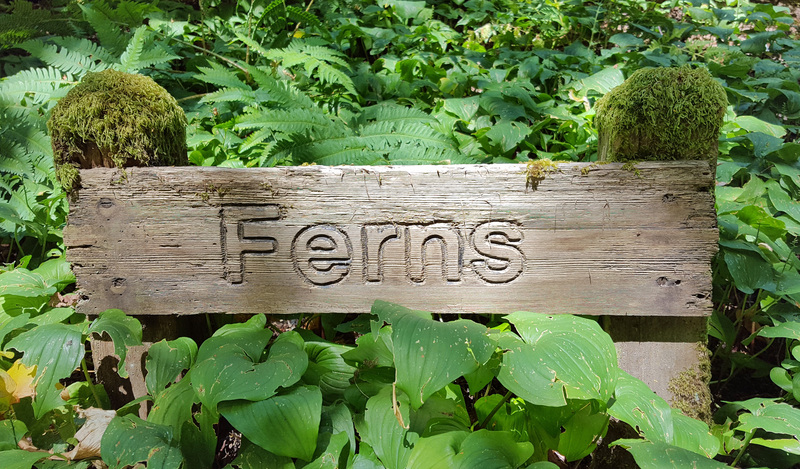 In wooded areas like this, there are guaranteed to be ferns (and, of course, moss growing over the fern sign). 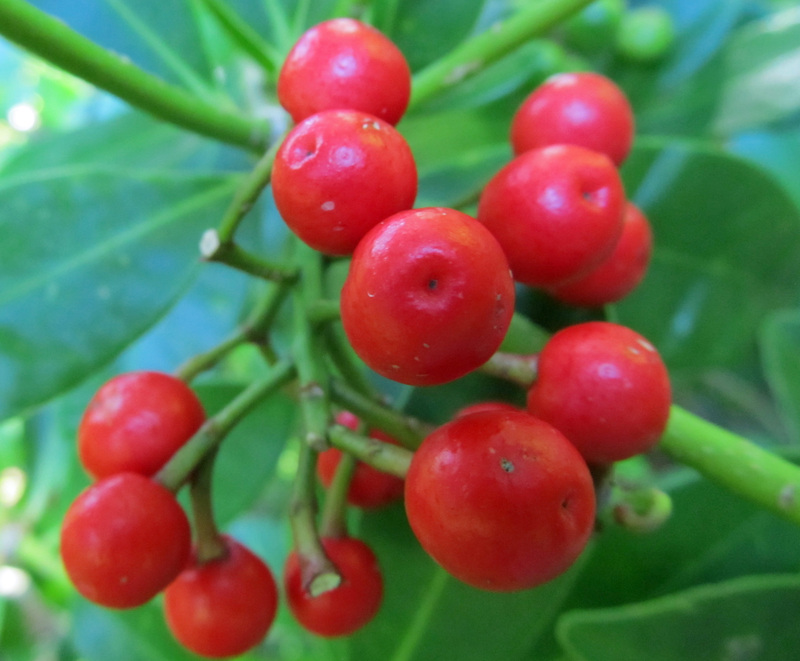 There were several fruiting shrubs, like this Japanese skimmia (Skimmia japonica). 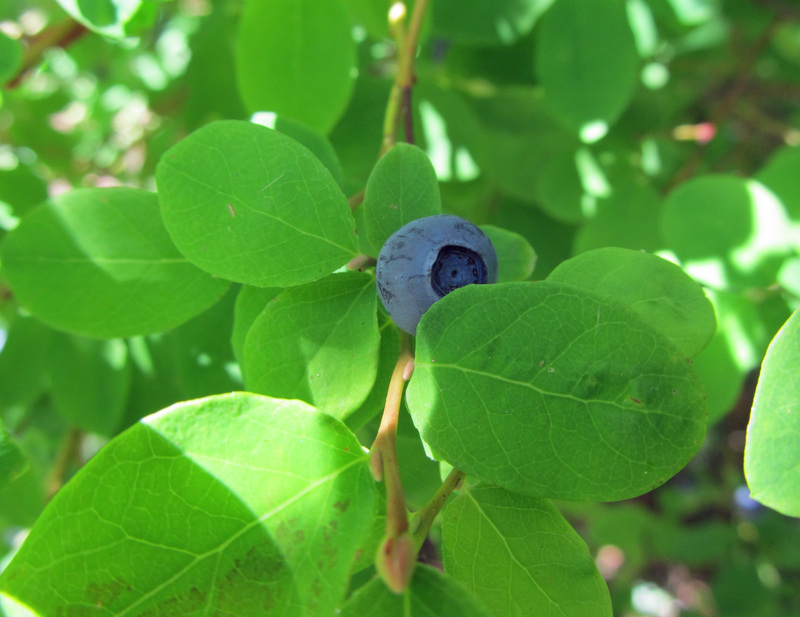 And this Alaskan blueberry (Vaccininium ovalifolium, syn. V. alaskaense). 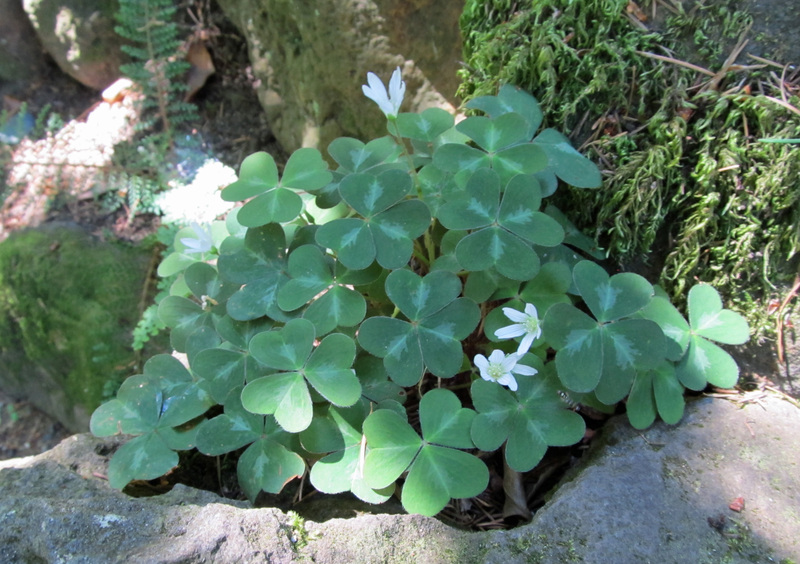 Wood sorrel (Oxalis spp.) 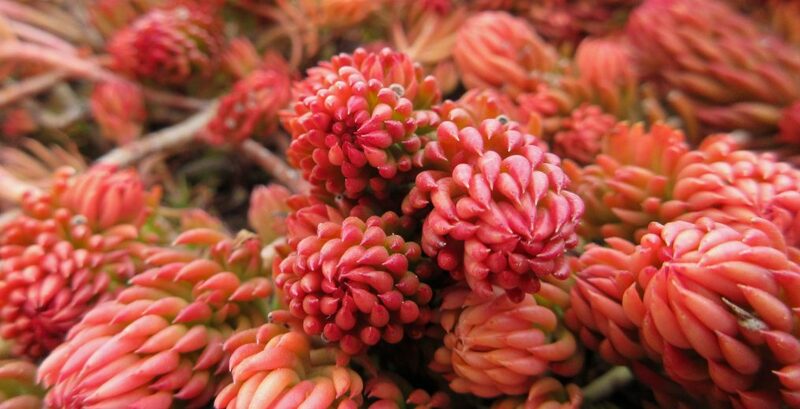 was abundant and often attractively displayed. 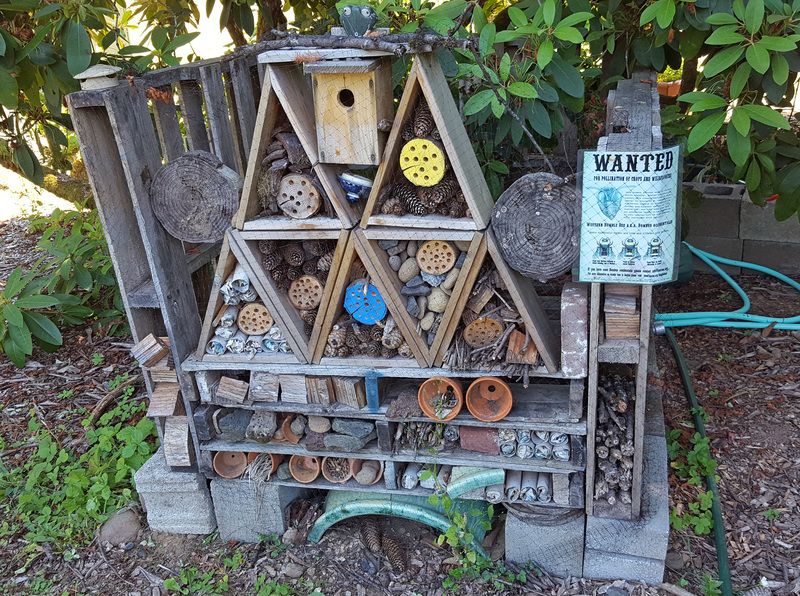 I found this insect hotel in the upper section of the garden. Apparently some major developments are planned for this area. Learn more here. Have you visited any public gardens this summer? Leave your story and/or recommendation in the comment section below. 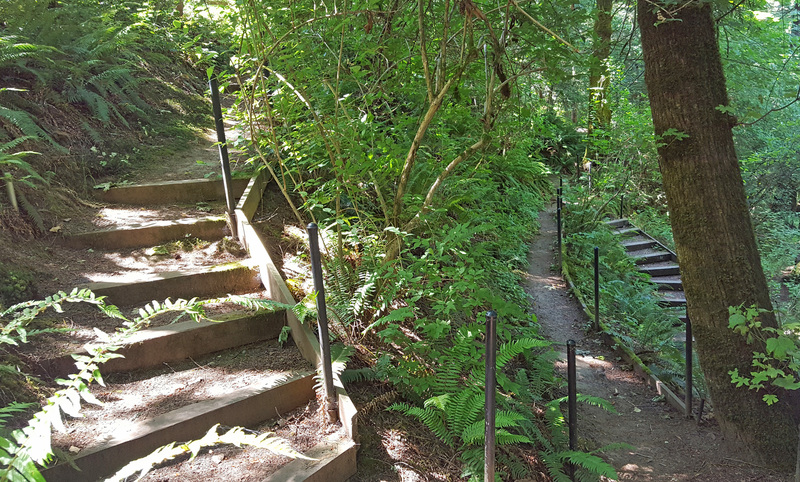 This entry was posted in Botany, Horticulture and Agriculture, Reviews and Recommendations and tagged ferns, field trip, flowers, fruits, Hoyt Arboretum, insect hotel, Leach Botanical Garden, Portland Oregon, public gardens, shrubs, Trees, vine maple, woodlands. Bookmark the permalink.